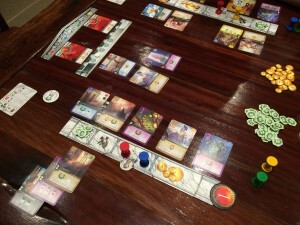 Elysium is Greek god themed game played over 5 rounds and the player with the most victory points (VPs) is the winner. 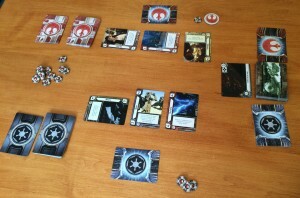 Each round, players take turns taking either one of the god cards available that round or a turn order marker until they have had 4 turns. Each of the god cards gives its owner a benefit or ability – some abilities can be used once during the whole game, some are permanent abilities, some get used once per round, etc. 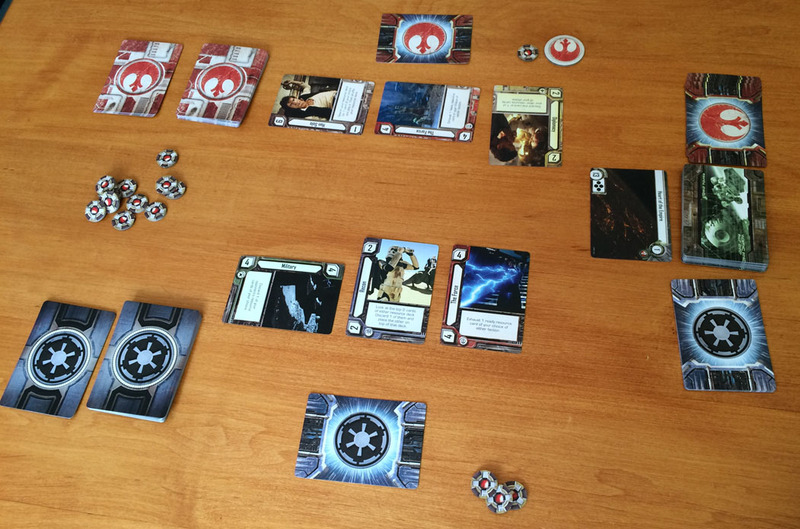 When the cards are gained, they are placed in your ‘Domain’ – the area above your player board – these can be used for their abilities, but do not count towards scoring. During the game, you can move cards from your Domain to your ‘Elysium’ – the area below your player board – only in your Elysium do cards count towards scoring at the end of the game, but they can no longer be used for their abilities.